From Beethoven and Strauss to Tchaikovsky, Debussy, Rachmaninoff and Prokofiev, students participating in the ECO’s Educational Outreach programs are taken on a musical journey, while developing their core academic skills and their appreciation of classical music. 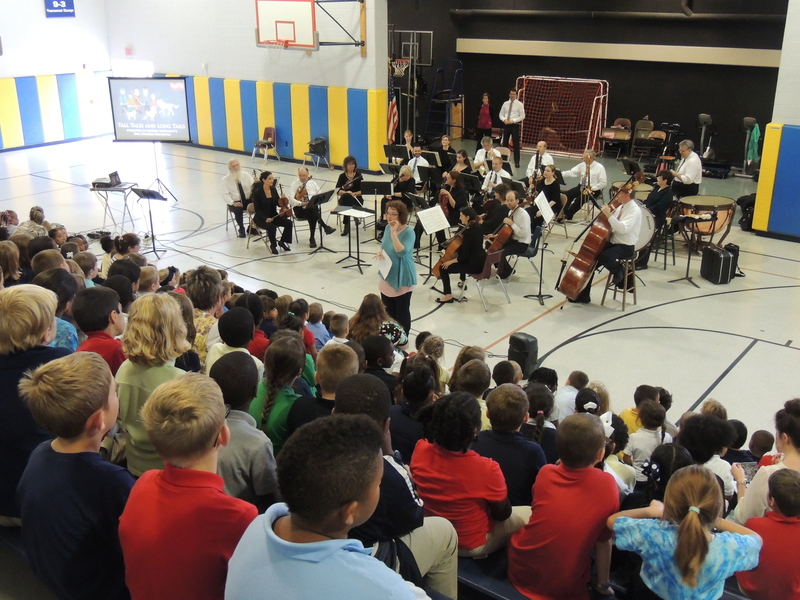 The ECO’s in-school programs support educators in the City of Erie with high-quality concert experiences, presented for each individual elementary school (12 in total). These concerts are accompanied by an extensive curriculum that aligns with both Common Core and PA Arts Standards, and additionally covers science, history and geography topics. These lessons plans, games, maps, audio CDs, etc…, are given to the schools one month prior to the ECO’s concert. The concerts are 40 minutes in length and are scheduled in close collaboration with the Erie School District. Most importantly, these concerts are presented 100% free of charge. 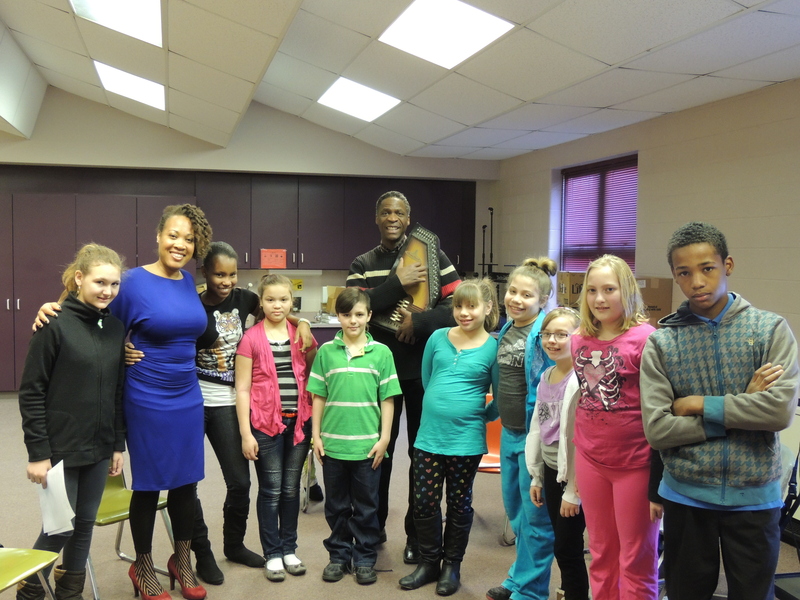 The ECO Master Class program gives elementary students from the Erie School District the opportunity to work with and learn from our world-class musicians and guest artists. 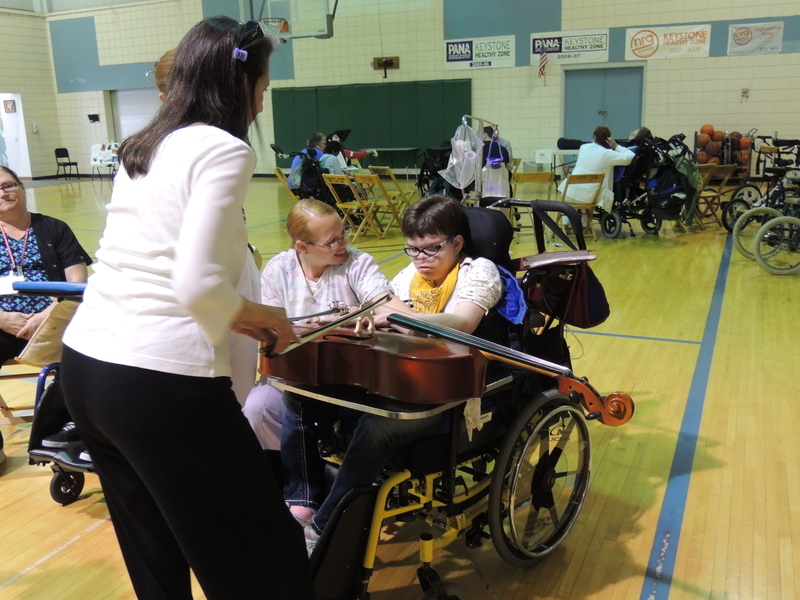 Our Instrumental Petting Zoo program allows every child in attendance the opportunity to actually play a real orchestral instrument. These once-in-a-lifeitime experiences have touched the loves of thousands of children across the city! The ECO’s Outreach program for the Barber National Institute offers eight in-school events for students of all ages from September through May. These events include a tour through the orchestra, learning about the four families that make up a symphony orchestra, as well as a school-wide instrumental petting zoo. The petting zoo event in particular is one of the highlights of the year at the BNI, and we are honored to continue this tradition of reaching the musically underserved. The ECO now asks you to help us continue to nurture these blossoming outreach programs through the PA Educational Tax Credit Program (EITC). Businesses of all sizes can apply for EITC credits through an online process, with applications accepted from July 1 onwards for that respective fiscal year (July 1, 2014-June 30, 2015). The application and guidelines may be found here. These credits are awarded on a first come, first served basis. Donations made to one of these approved programs are eligible to receive tax credits equal to 75% of the contribution; 90% if the business agrees to provide the same funding for two consecutive tax years. Please contact GM Steve Weiser with any questions at 814-871-7755.